The world is in danger of falling into total darkness unless some brave soul is able to take the Holy Goblet from the talons of the evil Dragon. 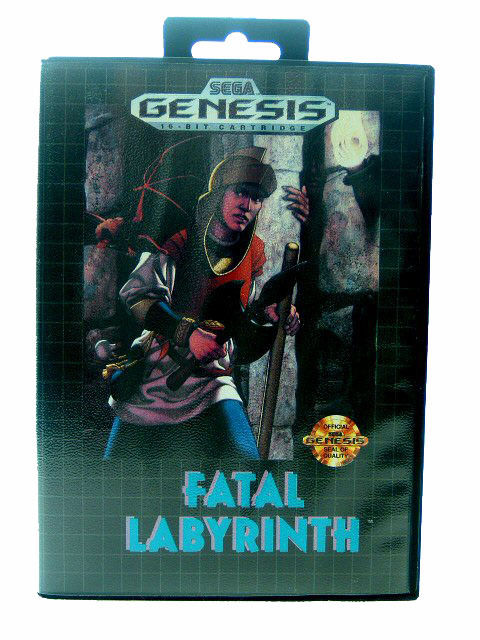 In FATAL LABYRINTH, you're Trykaar, the swordsman who is chosen to enter Dragonia Castle and obtain the Goblet from the Dragon. Inside the castle, you'll find new weapons and magic that will come in handy as you wind through the mazes of the castle. But you don't have a map it would be useless anyway, as the castle is always changing shape. As you inch your way through the dark and dank dungeons of the Castle, watch out for the heinous creatures that inhabit the nooks and crannies. Remember, the world is counting on your strength and bravery!